• Custom Tuning Port integrated into the bottom of the sole moves mass down and is aligned directly in the center of the impact area. Locating the CG lower increases MOI for extreme forgiveness. 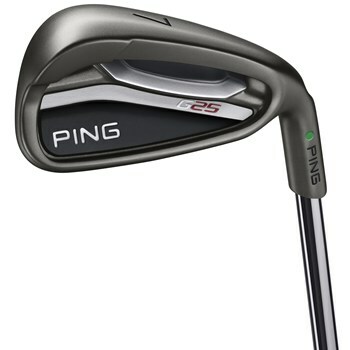 • The longer irons sole widths and offset are slightly larger to launch the ball higher and have greater forgiveness. The short iron soles are designed to be versatile and have more control. • Heel and toe support bars, and low-toe weighting, stabilize the face at impact.